I have been a very bad blogger. I know I promise to blog about the "Makeup Basics" topic weekly and I know I've failed to do it badly. Let's be real. There are a lot of things happen in real life and since blogging is not my day job, there will be times that I have to attend to something else. I wish time is not limited, so I can accomplish more.... like blogging every day, if I could. We are still in the discussion on face foundations (gosh, why is it never ending? I'm looking forward to talk about eyeshadows!) and today I will guide you through the different ways to apply your foundations. A lot of people start by using the flat foundation brush because this is what makeup promoters are marketing to first time users. 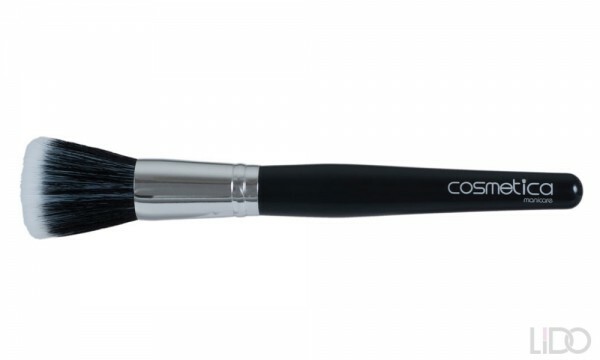 It is also sell-able because makeup beginners often see this brush use by makeup artists. The brush isn't cheap, that is why promoters tend to push this product so they can get higher commissions. The truth is, this brush is not really the tool for beginner. Check out the "cons" below. Use for: Liquid, stick, cream & mousse foundation. Pros: Easy to use. It doesn't make your hands dirty, it is pretty neat and hassle free when you use a flat brush for applying your foundation. Cons: It causes streak lines when you apply your foundation, which you need to temper down with loose powder (which you need to incur more cost on your makeup investment). You will also need a brush cleaner to clean the brush often. Or else you will get break outs if the brush breeds bacteria or contaminated by dust. 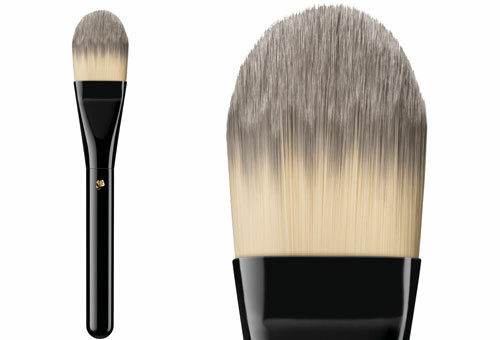 The stippling brush is a rounded brush with flat edge. It often comes in duo color - white at the tip and black at the body of the brush. The white tip are made of synthetic fiber which allows the brush to pick up more products. Pros: It is the same as flat brush above, but it covers one weakness of the flat brush, which is creating streak lines. The synthetic fibers tones down a lot of streak lines and it creates a flawless coverage of your foundation. Cons: Costly. Need to clean often. 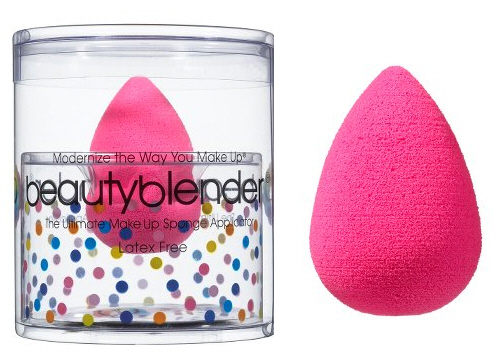 There are plenty of brands, shapes and sizes of makeup sponges. And we'll discuss about it generally. The price range of makeup sponges range from a few ringgit to hundreds. Use for: All types of foundations. Pros: Easy to use. You can opt for disposable ones when traveling. Cons: Costly. Makeup sponges don't last as long as brushes. It needs to be replaced very often. And it is hard to clean. It probably breeds bacteria faster than brushes because it soaks all the moisture inside the sponge. Pros: I love everything about using fingers for foundation. It is fast, cheap (don't even cost a thing) and hygienic. Cons: I really don't know anything bad on using fingers. 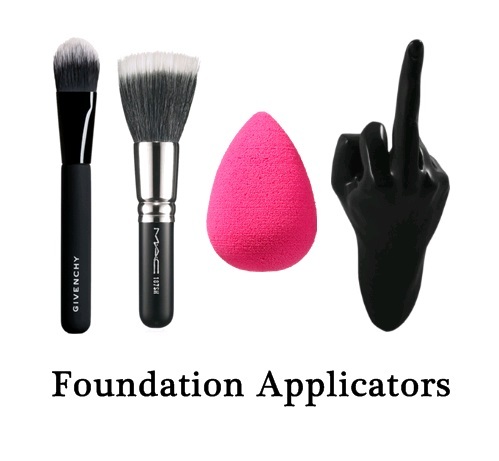 I hope the above tips able to help you decide which tools to go for when applying foundation. 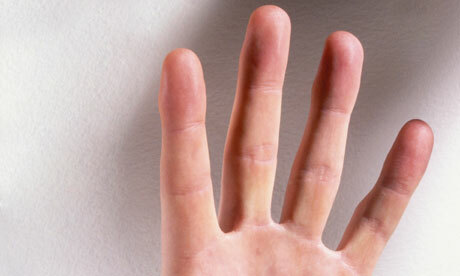 For beginners, I really recommend you to just use your fingers. Don't spend your hard earned money on makeup brush because then you need to incur cost for brush cleaner, brush holder, brush guard and all that other stuff. Spend your money on other products so that you are able to experiment more. @Jennifer FurFer: Yup... So easy and hassle free to use fingers. Same. I also use brush for blush only. totally agree with everything you said in this post. i only use brush for eyeshadows.